Hello everyone, how was your weekend? I had a very busy, eventful and enjoyable weekend. On Saturday Rydog, his family and I attended a 21st birthday party for a friend who Rydog and I went to high school with. It was held at a park which is a very beautiful place to spend an afternoon. 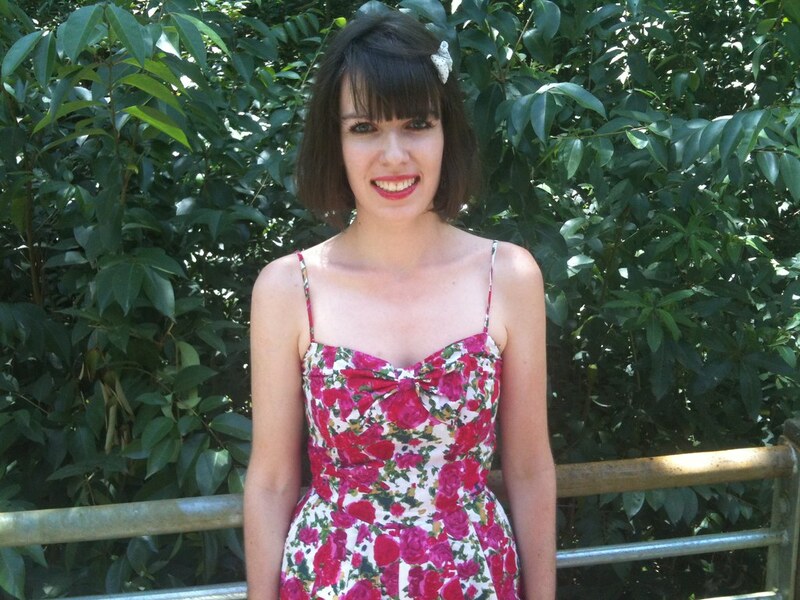 I decided to wear my floral playsuit instead of my black playsuit. I bought a couple of playsuits last week and I absolutely love the one which I wore to the party. 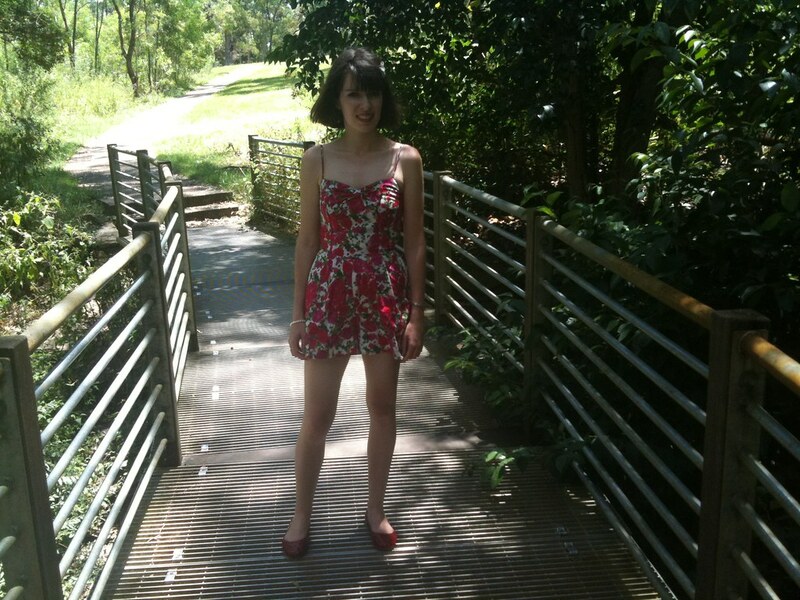 It makes me wonder why I didn’t get into the playsuit trend before now. On Sunday I went to the beach for the first time of this whole summer. It was so much fun and relaxing and I love the people that I went with! My life has become complicated again and I need to make a significant life decision very soon. I am so nervous and unsure about what to do because there are so many consequences of each course of action and I just can’t choose which one is right. I feel like I am at a cross roads in a certain area of my life and I wish there was a way out of this situation. I can’t say more than that right now but it will make more sense later.I’m pleased with myself for placing this issue to one side for the weekend and enjoying the time. If this had happened a couple of months ago I would have continually analysed the situation and felt extreme nerves and anxiety without being able to enjoy the weekend activities. This is some progress I am making by taking one day at a time and trying not to worry about issues so early in advance. 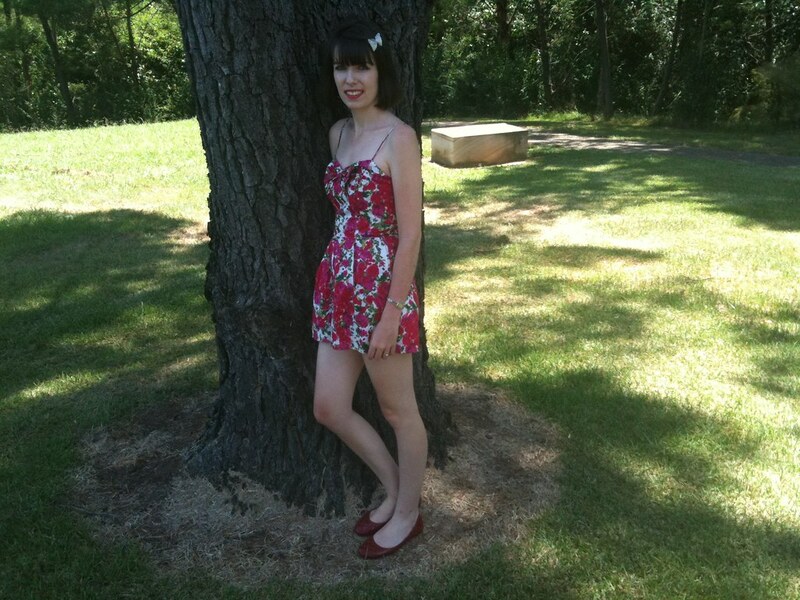 This entry was posted in Forever New, Outfits, Steve Madden. Bookmark the permalink. YAY! 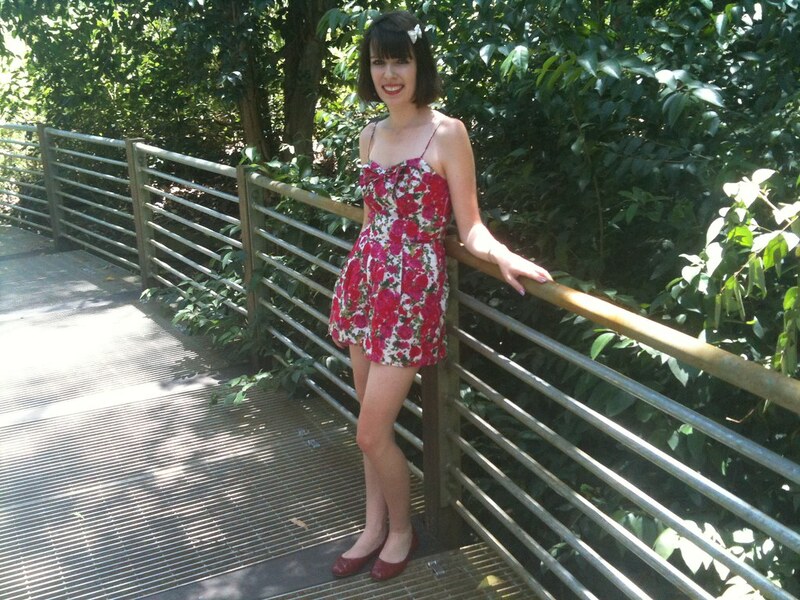 Love Ur floral playsuit…so sweet! Your hair is looking great, and the playsuit looks fab. I'm such a huge fan of playsuits. Good luck with the decision. I'm sure you'll make the right choice. What a cute playsuit, love the bright pattern. I keep picking up playsuits at the stores thinking theyre dresses, I put them straight back because I know they wouldnt suit me. Looks great on you though, and perfect for summer. This playsuit is so cute!!! The floral pattern conveys a nice innocence while the bare, exposed skin conveys a I-look-nice-but-I-can-be-naughty message, which I love. love that floral print on you! And congrats on your awards! The hair cut's looking better than ever and with this cute jumpsuit it's perfect. Hope you can resolve this issue. If you do need an objective ear let one of us know. LOVE your outfit! And good luck with your decision lady! I love this look! It's so pretty and springy. What a pretty outfit! I thought it was a dress at first. It's gorgeous! Nice outfit! I love the floral print. Love this playsuit, is that a topshop print? 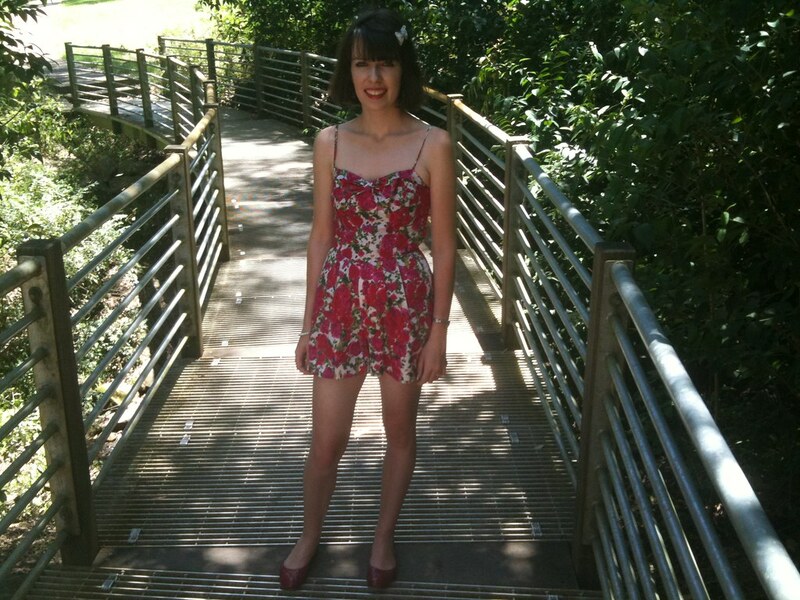 So jealous you have summer already still have a few months till I can wear my playsuit!. A birthday party in the park? Sounds perfect! Your playsuit is hands-down adorable. I love your playsuit. The print is so cute. You look so sweet and summery! What a great weekend you've had! 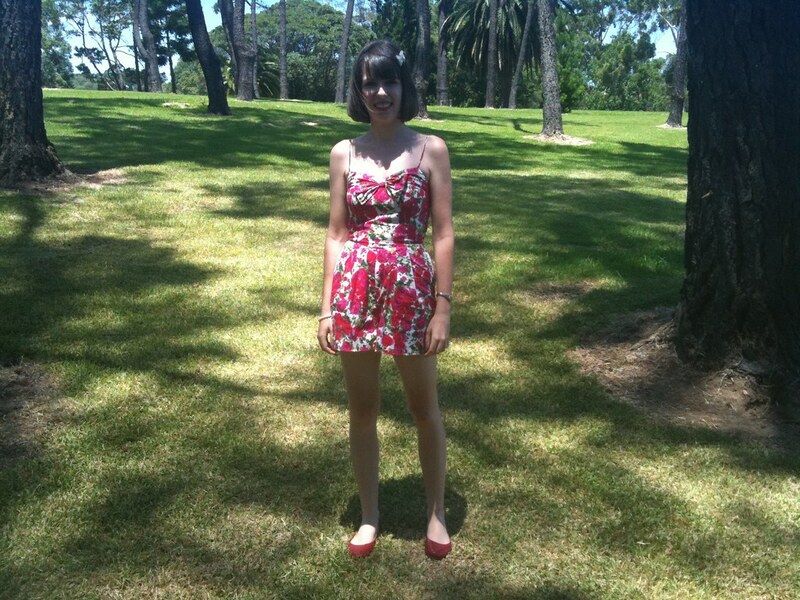 First of all, the playsuit is incredible on you, I think it suits you so much and it's so pretty! Also, hope you manage to figure out your situation soon, it sounds like a tough decision! its stunning, you have just the figure for it :), an awesome one! i really really love your jumper! And your hair is so cute too! Ah, this floral print makes me long for summer and warm weather. you're such a cute chic lady with this outfit..
i just noticed that you always love to play with some fun outfits..
You're making me long for summer! I hope your decision gets easier to make! Gorgeous playsuit <3! You look lovely. Love the outfit… My personal fave are the shoes! SUPERB!